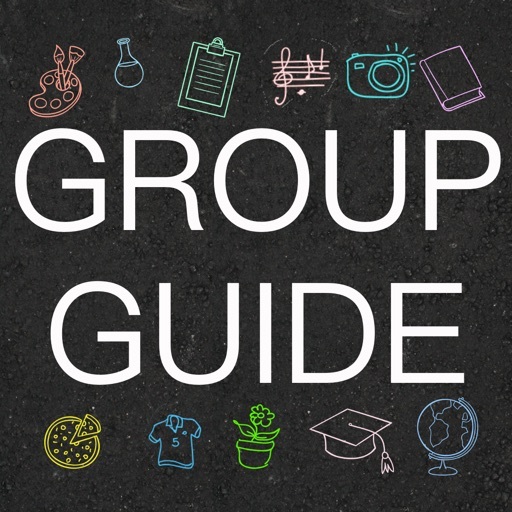 Group Guide is our new FREE online software to manage families and activities for ANY GROUP -- The Toolbox and Hub are classroom and homeschool co-op and tutorial administration systems that offer great features at an affordable price! Our first software creation, which is the Hub, was created by Lovemygroups.com for a homeschool group in Tennessee and enhanced for use by homeschool groups all over the U.S.A. in 2015. It is not a piece of software that you have to install. We host the software application on the cloud (internet), and you and all your group members can get access to it by computer, tablet, and smart phone as long as you have an internet connection. The features of The Hub fulfill most needs that a homeschool group administrator has, and the Hub provides group members with contact information, access to school documents, a private group email message board/forum with no ads, class rosters, and a way to choose and pay for classes each year or semester online. Please continue to read more about the features of the Hub, and contact us to schedule a 30-minute personal live online demonstration of the Hub for your leaders. Group Guide is the culmination of years of effort designing and building an online system that can manage Families and Activities simply. The end result is a FREE online system with a Families Database, email-based Message Board, and the Group Guide mobile application for iOS and Android phones and tablets that allows group members to sign up and pay for activities. Your Group Guide starts with a group administrator, who creates a FREE online account for the group or organization. Then other members create their own FREE accounts on the new group administration site. Finally, everyone can install the FREE Group Guide app on their phone or tablet, where members can see and sign up for activities that the administrator or designated group members create. The group Message Board provides group-wide communication via emails, with an online forum where you can review the message history. FREE to try, FREE to use, the Group Guide is your guide to easy management of your groups and activities. You can click one of the below links, if you are on your phone or tablet right now. If not, you can search for "Group Guide Activity Planner" on AppStore, Google Play, or Amazon Apps, depending on your device. Our most advanced software product, the Toolbox, was enabled due to the cost and limitations of all comparable options for managing classes that include Gradebook, Lessons, Assignments, Tests, Messaging and Chat, Forums, and more. The Toolbox is not software that you install. We host the software application on the cloud (internet), and you and all your group members can access it by computer, tablet, and smart phone as long as you have an internet connection. Leaders have full administrative access over their group, and they manage who can and cannot create and edit class sections (sites) and who are participants (students) in the Toolbox. Tutors, teachers, and instructors have full control within classes they create, and they can add lesson plans, grade items, tests that can be administered online, assignments, forum discussions, and more. Students are able to log in and interact with teachers via messages and chat, and can get their assignments, grade reports, contribute to discussions, and take tests through an internet browser. An add-on for the Toolbox has the added capability of a private virtual classroom with voice, audio, PDF presentation with whiteboard, and screen sharing. Please continue to read more about the features of the Toolbox, and contact us to schedule a 30-minute personal live online demonstration of the Toolbox for your leaders. Built with home school and tutorial administrators in mind, the Hub organizes your group online. Contact us for a no-risk trial, or choose from our variety of purchase options to go stress-free today! Get started managing group or organization's families and activities with Group Guide! (Final release coming SOON) This FREE online web site and mobile application is perfect for homeschool co-ops, tutorials, activity and field trip groups, churches, sports clubs and teams, senior activity groups, and more. Get started managing your tutorial classes, school classroom, or family homeschool with the Toolbox today! Try it with our low-cost base yearly price, or save by choosing from our variety of purchase options! The Group Guide lets you keep contact information for your families in an online database, along with their children, children's grades and ages, family phone, email, and address, individuals' phones and emails, and more. 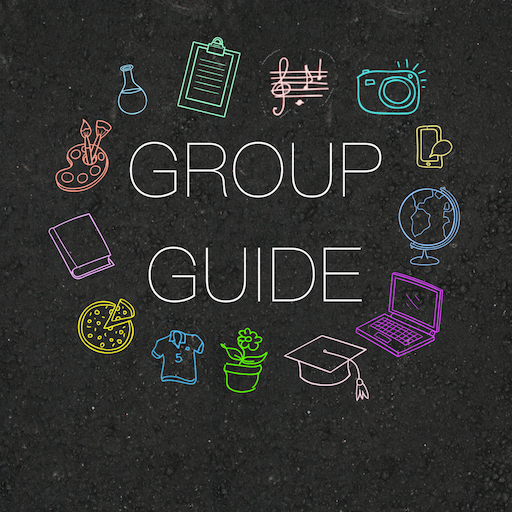 The Group Guide message board helps you communicate to your group, and everyone to communicate together. Bring all your online communication into the Group Guide with the Message Board. With online signups using the FREE Group Guide mobile app for tablets and smart phones (iOS and Android), activity and field trip planning is as simple as it gets. Just post your activity, provide the criteria for attendees and volunteers, and your families can sign up with a few taps. When families pay for an activity online, their sign up information is recorded automatically for the activity, and so is their payment information. Family Access starts with an online account. Each family fills in contact information, family members, and online forms. All the family information is at your fingertips online. The stress-free automated registration experience with the Hub lets families choose classes at their convenience. Administrators can preview choices and permanently place students in their chosen classes at the touch of a button. Our full featured online group payments system lets your Treasurer manage family fees, teacher fees, supply fees, and print fee sheets with all you need to know what each family owes. The provided integration with Stripe lets you set up accounts for automated payments and online payments for registration and class fees – and easily keep track of who has and has not paid. Bring all your online communication into the Hub with the Message Board. With a flexible email broadcast list plus forum, administrators and families can distribute email messages to the entire group and all communication is saved to review online. Simply post a message from the web site, or send an email to your private group email address, and everyone gets the message. Grading your students' work has never been easier. Teachers and students can view graded material online, check class grades, and receive feedback. Lessons can be uploaded to Toolbox, giving access for students to view your entire lesson, study notes, and links to internet content. Students can post discussions and responses right on Toolbox. Teachers can post topics where participation is graded. Great for encouraging students to communicate to one another. Teachers can have students upload assignments and tests right in Toolbox. Tests can be taken online and automatically graded. You can do grading from anywhere with no papers. Group Guide lets you organize a database of families, schedule and have sign-ups for activities, and broadcast messages via email to your entire group, absolutely FREE. Click GROUP GUIDE FEATURES for more information or to get started now! The Hub has everything you need to manage Families, Classes, Online Registration, Documents, PLUS full integration with Group Guide. Click HUB FEATURES to find out more now! Toolbox turns your classroom into a virtual environment making tasks effortless and more organized. Our system is designed to give you everything you need to make your school year run smoothly. There is more than Gradebook, Lessons, Discussion, and Tests -- find out more now! The online registration has been a huge blessing to us. So thankful for this service you provide. I know a lot of ladies that appreciate the no-stress registering. This was the calmest registration ever! !